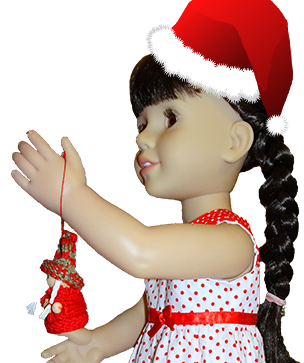 Yes, it’s Christmas in July again at Rosie’s Doll Clothes Patterns and you get to save 20% Off everything for the whole month of July with coupon code JollyJuly! What’s this, Christmas in July? you ask. 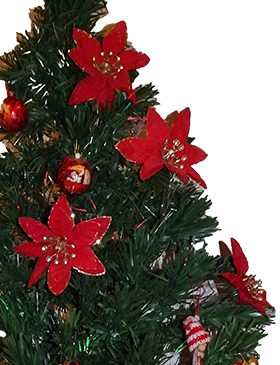 No, we don’t really celebrate Christmas in July, but some of us crazy Aussies feel we’re missing out on a lot of the traditions that those in the northern hemisphere get to enjoy when celebrating the ‘real’ Christmas in December. Such as snuggling up inside beside the fireplace and sharing hearty food and warm drinks with family and friends. Instead we’re sweltering in our underwear trying to keep cool in front of the fan. So, some of us decided it would be a great idea to enjoy an extra celebration in what’s usually the coldest month of the year. It’s not an official holiday and it’s not celebrated by everyone, but it’s popularity is growing and I’m certainly joining in! ‘Sew’, because I can’t have you all over for dinner, my way of celebrating with you is to offer 20% off everything storewide. Simply enter JollyJuly in the coupon code box at checkout and save 20%! I’d love you to add to your collection of 18 inch American Girl or 18 ½ inch Cabbage Patch Kids doll clothes patterns today. Or perhaps join in the fun and take one of my in-depth online courses – Learn How to Make Doll Clothes or Learn to Love Your Serger. With this awesome special, why not do both! This special offer expires July 31, 2018 so start shopping now. Happy sewing and Merry Christmas in July!